For someone who has become a slave to their work, unemployment is a strange kind of freedom. 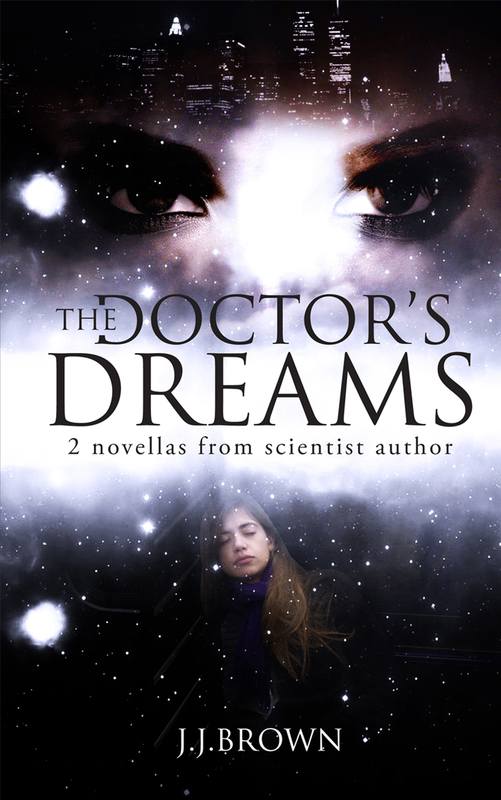 In the second novella of my new fiction book, The Doctor’s Dreams, the character Eve Wissen feels like a decapitated, single head of household after a surprise layoff at work. A workaholic scientist adrift in New York City, she adds up the unemployment facts. Numbers are no longer her friends. Her sudden freedom thrusts her into a void where she scrambles to reinvent meaning for her life. Here’s an excerpt from the story, from when Eve leaves her office for the last time. On a good day, numbers tell a story, while another day numbers smack you down flat. And today was not a good day. It was a transition day. Today she was on the 23rd floor of an office building in Manhattan, but tomorrow she wouldn’t be. She’d be on the first floor of a small apartment building in Brooklyn. She’d be home. Walking slowly, her shoes making no sound on the carpet, Eve noticed the open office space was unusually quiet. It smelled faintly of coffee. Freshly brewed coffee gave off over 800 aromatic compounds that were detected by cells lining her nose. It always had triggered something generally positive in her brain. Eve recognized familiar perfumes too, ones that were tied to fond memories. She passed by the friends she had worked with, eaten with, given wedding presents and holiday cards to for years—but she forced herself not to look at anyone. She felt their eyes drift lightly over her and then move away. No one wanted to be the next in line to be axed. They were watching something like a movie of her, not the real her, the friend. She suddenly felt completely naked. She imagined her skin and eyes were radiating with the words she didn’t have to say, “They let me go, I’m leaving”. In the moment, she couldn’t bring herself to say goodbye, to acknowledge that this part of their lives together was over. In her confusion, she forgot to take the carved wooden bird from her desk. As she picked up her jacket, her skin pricked with the heat of embarrassment. Her sympathetic nervous system was sending signals to open the tips of the blood vessels in her skin. The chemical processes of stress. “They let me go, they let me go, they let me go,” she thought. But no. “Let” sounded as if this were something she had wanted all along, and now the company finally allowed her to do it. Nothing could have been further from the truth! This was not a consensual act. They came to no agreement. She did not want to go. Eve habitually loved the things she did, whatever they were. It was a practice, purposeful, useful. Naturally then, she had loved her job. She always had tried to find a way to make even the most mundane task enjoyable and usually, she could. Sometimes she set up timed challenges along the way, as if her work were a chemistry lab experiment. This experiment was over now. At the elevator she asked the manager if he was staying with the company, himself. He was. “Good luck,” she said, and meant it. The elevator doors clicked closed behind Eve. This was final. The trip down felt like a long fall. As she got out on the ground floor and exited the building through the wide-open lobby, her shoes sounded odd to her. The heels tapped on the marble floor like an animal’s nails or a bird’s claws. She thought about how this was the last time she would walk across that lobby and through those particular glass revolving doors. She stood still in the chilly spring air just outside the building. She listened to the familiar noises of street traffic. A normal busy day, taxi drivers were still working. Bus drivers were, too. Eve wasn’t. She wondered how her namesake felt, ejected from the Garden of Eden. Startled, cold, naked, and maybe also vaguely guilty, she imagined. What had she done wrong? No act, no omission came to mind. “It had nothing to do with you,” the human resources rep had said. Eve remembered her premonition from earlier in the morning and shuddered. She thought about the accidental death on the train tracks. Now that was bad news, on the gradient from good, toward neutral, and then bad. She felt colder just thinking about it. That was tragic. Her news about being laid-off was only bad luck. A lay-off was not even unusual. So many companies had let workers go this year. She thought of the statistics that came out from the U.S. Centers for Disease Control and Prevention, CDC. Suicides were trending upwards now, at 40 percent higher in 2010 than they had been in 2000, for middle-aged people. Guns, hangings, drug overdoses—by 2013 suicide had become the tenth leading cause of death for people in Eve’s age group. Traffic whizzed by as she went through the numbers in her head. She recalled that suicides had now reached over 38,000 a year in the US. So many lives ended. The recession and the mortgage crisis did it, analysts wrote. But could they really know? The true motives for suicide will always be secrets. You can find After the Layoff in the collection, The Doctor’s Dreams, in print and ebook editions most places where books are sold. If you enjoy the story, won’t you leave me a review at your favorite book retailer site?